Springfield High’s Brooklyn Reed is defying stereotypes about teens: He is mature, responsible – and he’s employed. Brooklyn, now a senior, has taken every Metals class that Springfield High has to offer. Trying to make sure he continues to be challenged, his shop teacher, Tom Lemonds, connected him with Avril Watt, human resources manager at Johnson Crushers International (JCI). A short time later, Brooklyn started a part-time job at JCI. “I grew up working with my hands alongside my father, who is a woodworker,” Brooklyn says. 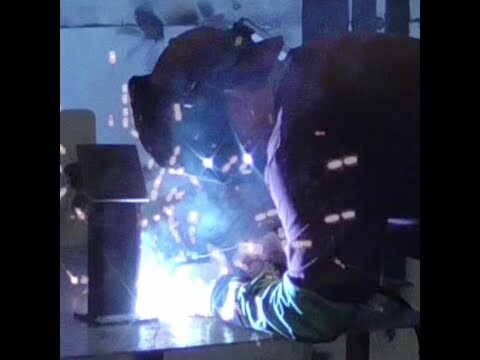 “But once I started welding, I knew that was what I wanted to do." “We immediately liked him. Good handshake, looked us in the eye, brought some examples of things he had welded," says Watt. After taking a safety test, he started work the following Monday. Brooklyn says he hopes to continue with this career at JCI. Metal shop is just one of a long list of career technical education (CTE) classes offered by Springfield High School. During the last 20 years, when many schools were cutting back their CTE programs, Springfield held on to them. And now, with business leaders saying they are short of skilled workers, Springfield is expanding its CTE programs. Unlike Brooklyn, Lemonds notes that students generally don’t come to class anymore with very many hands-on skills. Lemonds says that he also teaches kids what employers are going to be looking for – showing up on time, a clean driving record, drug tests, transcripts. “I want them to be ready for work when they get out of high school if that's what they want to do,” says Lemonds. As with other trades, welding provides a great path toward true living wages. According to county workforce analyst Henry Fields, welders earn a median wage of $20 an hour - more than $3 higher than the median wage for all of Lane County. Lemonds said his favorite part of the job is seeing kids you wouldn’t think would like the shop come to enjoy it. He’s seen a lot of students pass through – he’s been at Springfield High for 13 years, and has just recently taken the lead on the metals program with the retirement of Randy Wilson – and says that Brooklyn is definitely special.